1950/60's newly lined storage box & matching scatter cushions (new). The box has been fully restored, upholstery is brand new and complies with the latest fire retardant law specification. 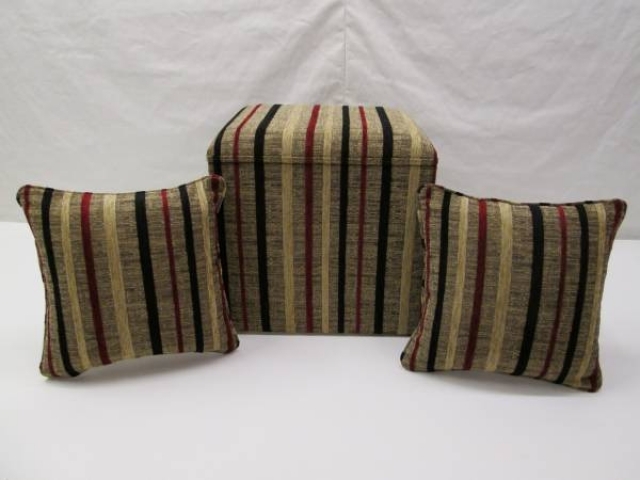 Top striped covering fabric is from H & R farics. An ideal addition to any home, where an injection of colour is required, adding storage space and style combined. 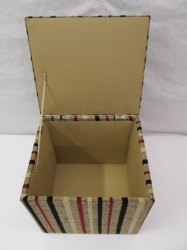 Dimensions of box – height 48 cms, width 46 cms, depth 41 cms. Dimensions of cushions - 40 cms x 40 cms.